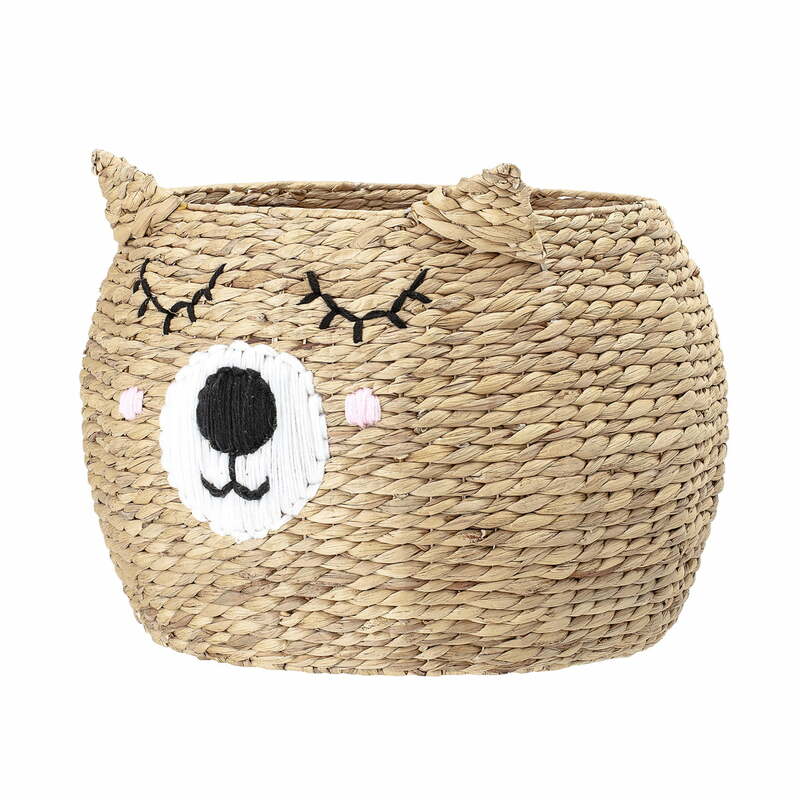 The Bloomingville storage basket features a cute bear face that makes every nursery a great eye-catcher. Pink cheeks, closed eyes, a soft smile and pointed ears let the face appear calm and peaceful. 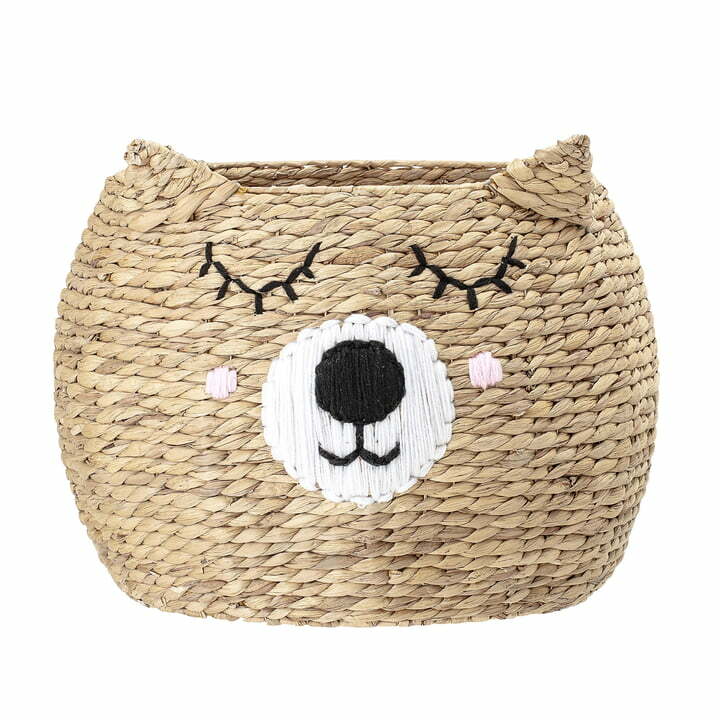 The basket is made of dried water hyacinths, which are then woven classically. The natural material is ideal for use in children's rooms, where it sets stylish, cosy accents. The basket can be used to store toys, blankets or books that have a fixed place in it. This is a playful way to create order in the children's room. Storage basket with face of Bloomingville in single view. The Bloomingville storage basket features a cute bear face that makes every nursery a great eye-catcher. Storage basket with face of Bloomingville in single view. The basket can be used to store toys, blankets or books that have a fixed place in it. This is a playful way to create order in the children's room.